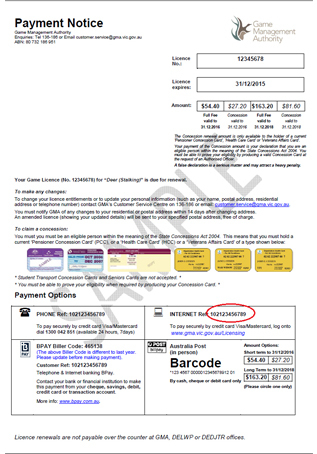 Payment of tax invoices – You should have received an invoice from the department. Licence applications for scientific procedures licences and Specified Animals Breeding Licences – You should have received a payment notice from DEDJTR Licensing & Audit. 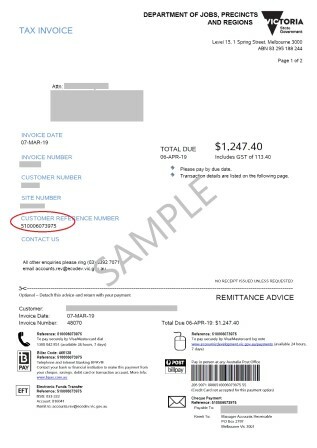 The reference number is located on the right hand side under the Remittance Advice of the Tax invoice and Payment Options on the Payment Notice. 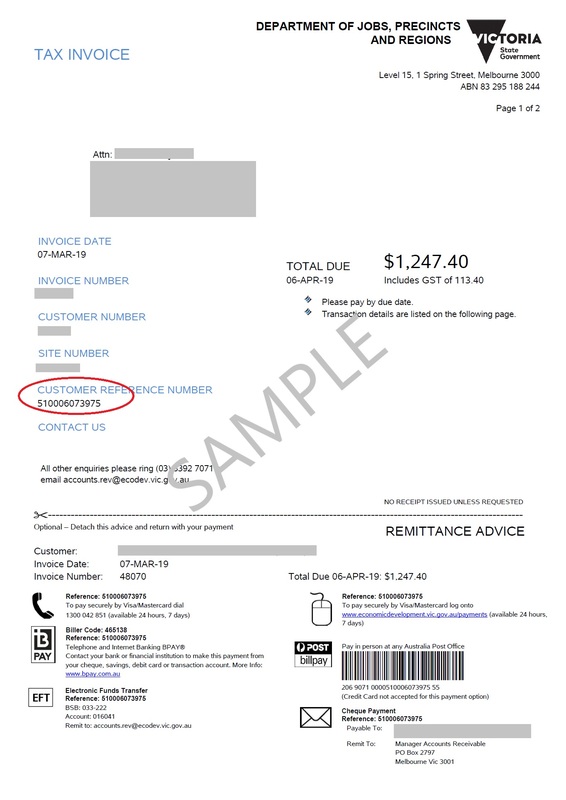 This is indicated by the red circle in the example invoices and payment notice. 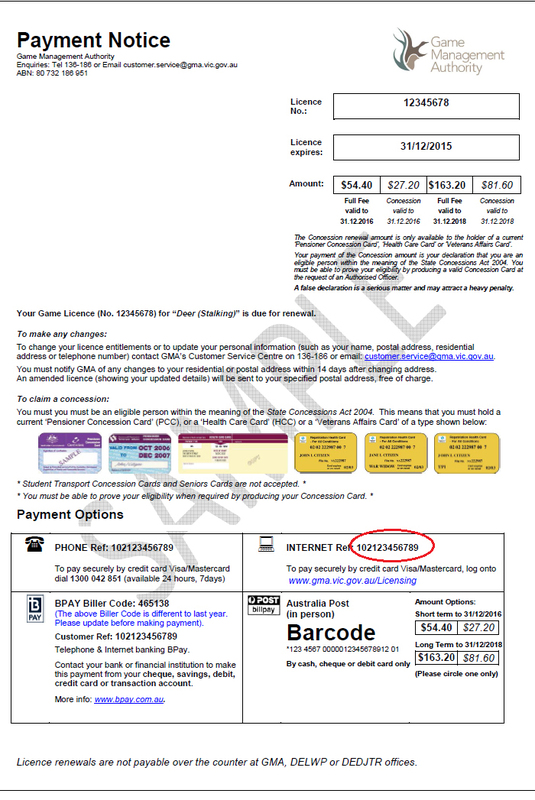 Click on the image to view a larger version of the invoice or payment notice. For Crop Health Systems (invoices commencing with CHS) email Crop Health Systems or call (03) 9032 7515. For Veterinary Diagnostic Services (invoices commencing with MTX) email Vet Diagnostics or call (03) 9032 7515. For Plant Health Certificates (invoices commencing with PHC or PAY) email Plant Standards or call (03) 8401 6900. For Center For Applied Sciences (invoices commencing with SAMS or I) email Ron Walsh or call (03) 8458 2610. For Earth Resource Regulation (Minerals and Extractives) (invoices commencing with RRAM) call (03) 5160 9015. For all other enquiries please email the department or call (03) 8392 7071. Read more information about BPAY.